Maryland vs. Nebraska—College basketball pick is Maryland Terrapins at a pick. Team has had success on the road wins at Ohio St, Minnesota and Rutgers in conference. Over their past five games the Terrapins are shooting 44.8 % with 41.8% from three while limiting opponents to 40.9% and 29.3% from beyond the arc. Nebraska is a struggling team as they are on a five game losing streak after a seven point home defeat at Illinois. They have lost five straight on the road and overall has failed to cover five straight and seven of eight games. Bad shooting has haunted this team in the past and hit haunts them against in Big Ten play. In their past five games the Cornhuskers are hitting 34.9% with 25.7% from three. Maryland is strong on the glass, free throw and three point line. Cornhuskers weak on the defensive glass. Free College Basketball Picks For Today 2/6/2019 Maryland at a pick. Notre Dame vs. Miami—College basketball free pick is Notre Dame Fighting Irish +3. These are two struggling teams hitting the court. Hurricanes have lost fie straight and eight of their past nine games. Notre Dame broke a five game losing streak beating Boston College on the road. Hurricanes are in atrocious defensive form as in their past five games are allowing 52.3% shooting with 47.2% from three point range. Positives about the Fighting Irish is they take care of the basketball a low turnover team and make free throws. Their two point defense is good and limit the amount of free throws to their opponents. Miami is poor on the offensive and defense glass plus weak with two point defense. Free College Basketball Picks For Today 2/6/2019 Notre Dame +3. Georgetown vs. Providence—Free pick is Georgetown Hoyas +4. Georgetown has won two of three with a loss to Villanova. They covered in wins at home to Xavier and on the road a ten point win at St Johns. Providence returns home after dropping games at Seton Hall and DePaul. Providence is just in poor offensive form as in their past five games shooting 37.7% with 24.8% from three point range. Hoyas shooting form in that spot better as they are hitting 43.2% from three. Providence did lose a lot of their scoring from last year as the team started five seniors. Georgetown a very good three point shooting team that makes their free throw and great on the defensive glass. Friars struggle with their two point shooting and at the free throw line. Free College Basketball Picks For Today 2/6/2019 Georgetown +4. Creighton vs. Villanova—College basketball pick Villanova Wildcats -8.5. Wildcats won the first meeting on the road at the Bluejays 90-78 behind 54% shooting. Wildcats have won and covered six straight after their 77-65 home win to Georgetown at home. Villanova in their past five games are shooting 47.3% with 40.5% from three point range. Creighton is 2-4 straight up on the road. Bluejays are defensively bad on the road allowing 48.9% shooting with 40.6% from three point range. Wildcats sit at seventh in offensive efficiency as they are strong making two point shots and on the glass. In addition to poor defense Creighton has issues on the offensive glass and free throw line. Free College Basketball Picks For Today 2/6/2019 Villanova -8.5. Baylor vs. Texas—College basketball free pick is Baylor Bears +3. Baylor is in good form as the team has won and covered six straight. Overall the Bears have covered nine of their past ten games. Baylor is in great form as in their past five games are shooting 49.2% with 39.7% from three point range while holding opponents to 40.9% with 26.5% from beyond the arc. Team is 4-2 straight up in true road games with recent wins at Oklahoma, West Virginia and Oklahoma St. They beat the Sooners by 30. Longhorns continue their struggles as the team has lost six of their past eight games after their 65-60 loss at Iowa St. Longhorns form poor as in their past five games shooting 43.6% and giving up 46.9% shooting and 40.9% from three point range. Baylor is strong on the offensive glass great at defending two point shooting. Texas has their struggles on the defensive glass and at the three point line. Free College Basketball Picks For Today 2/6/2019 Baylor +3. LSU vs. Mississippi St—Free pick is Mississippi St Bulldogs -3. Team has won two of three with a road win at Ole Miss and an eight point home victory to Auburn. Bulldogs are 10-1 straight up in their home games. At home the team shoots 50.5% with 40.2% from three point range. On the road LSU connects only on 41.5% with 31.5% from three. LSU hits the road after a one point loss to Arkansas. Tigers have played a relatively weak schedule in the SEC and now faces their biggest road test in this spot. Mississippi St is very strong on the offensive glass and at the three point line. Tigers issues are on the offensive glass, three point line and is a high turnover team with carless ball handling. Free College Basketball Picks For Today 2/6/2019 Mississippi St -3. Oklahoma St vs. TCU—College basketball pick is TCU Horned Frogs -9. Respect the performance of the Horned Frogs at home as the team has won four straight with notable wins to Florida, Texas and Baylor covering two of those games. Horned Frogs at home shoot 49% while limiting the opposition to 39.5% shooting and 27.1% from beyond the arc. Oklahoma St has lost four of their past six games after their 18 point home defeat to Kansas St. They have had recent home losses by 13 at Iowa St and by 10 at Oklahoma. Oklahoma St not good shooting form on the road hitting 41.7%. TCU strong on the offensive glass and with three point defense. In addition to their shooting struggles the Cowboys turn the ball over and struggle at the free throw line. Free College Basketball Picks For Today 2/6/2019 TCU -9. Utah vs. USC—College basketball free pick is USC Trojans -6. Utah hits the road on a two game losing streak with home losses to the Oregon schools last week. Utes have defended poorly on the road by allowing 48.7% shooting with 39.7% from three point range. USC has played well at home with five straight wins in conference covering the spread in four of those games. Trojans have notable home wins to Arizona St, Arizona St and UCLA. They beat the Bruins by 13 and Wildcats by 23. At home USC is shooting 48.5% with 37.4% from three while holding opponents to 37.5% with 29.5% from three. In addition to defensive struggles the Utes is a high turnover team with carless ball handling and poor at the free throw line. USC does a good job with low turnovers securing the basketball and strong with two point defense. Free College Basketball Picks For Today 2/6/2019 USC -6. Wisconsin vs. Minnesota—College basketball pick is Wisconsin Badgers -2.5. Revenge for the Badgers after an embarrassing home loss to the Golden Gophers over a month ago. Wisconsin is peaking as the team has won five straight after their eight point home win to Maryland. Badgers in that span have road wins at Nebraska and Illinois. Wisconsin during this win streak is shooting 45.7% with 44.8% from three while holding opponents to 35.7% and 28.6% from beyond the arc. Golden Gophers in that span has struggled with their three point shooting and allowing 44.5% shooting. Wisconsin very strong with two and three point defense. In addition to shooting struggles Minnesota is poor at the free throw line. Play Wisconsin -2.5. College Basketball Free Premium Picks Predictions. Today’s entire college basketball premium pick predictions against the spread are free right now at 1-888-711-4311 or text the word WINBIG to 313313 to receive them. 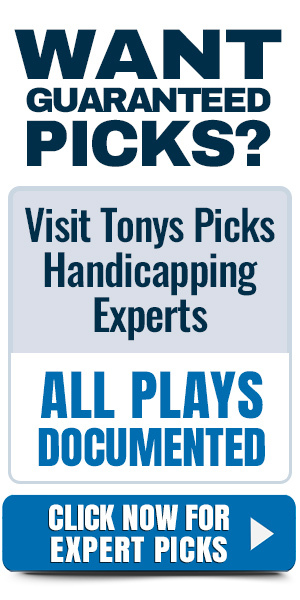 Included are Best Bets, Parlays and Halftime winners for this week free of charge. Msg&data rates may apply. To unsubscribe, text STOP to 7606703130. For help text HELP anytime. Available in USA. Up to 10 msg/mo. Your privacy is always protected and your information will not be shared.